Bartus Bartolomes has lived and studied in Venezuela, France, USA, Italy, India, China, West Africa, UK and Brazil. He has participated in exhibitions to international level. In his work the dominion of the lightly iconographic and metaphoric color is appraised with a variable subjects especially post-modernist myths, new-minimalism and trans-conceptualism. The artist juxtaposes exotic influences from as far as Africa, Asia, Europe, South and North America to articulate his discovery of asymmetrically iconography art contrasts between East and West, expanding metaphoric visions, transcending barriers of time in the plastics imagery and converging into a new archaeology of meta-signs and poetry. 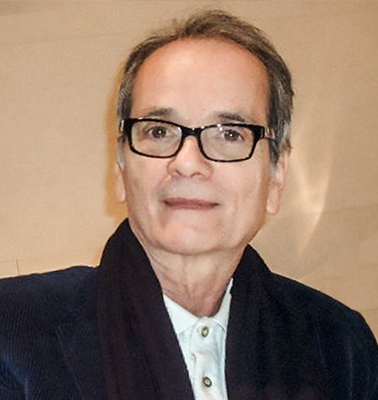 He was the creator of the art Manifesto: a trendy multicultural fusion of different art proposals and curator in Public Projects as ‘Latinamente’, Italy; Khromatone’, New York; ‘Dancing Trees’; New York ‘Buoys’; ‘Transgenetic’ Beijing China’; ’Nest Gen Eco-Art Project’, F I U & Frost Museum, Miami Florida, ‘Art for Water’; etc . Through his art, he supports other artists, art projects and Art Books. *Writer, Art Critic and Italian Editor. Proposal Summary: Micki is part of the series ¨American Icons¨ where I have been seeking to reinterpret the most important ¨Cartoons¨ of the contemporary visual idiosyncrasy through short animations that construct and deconstruct the image up to an unlimited stage. Script, Drawing and Direction: BARTUS BARTOLOMES.